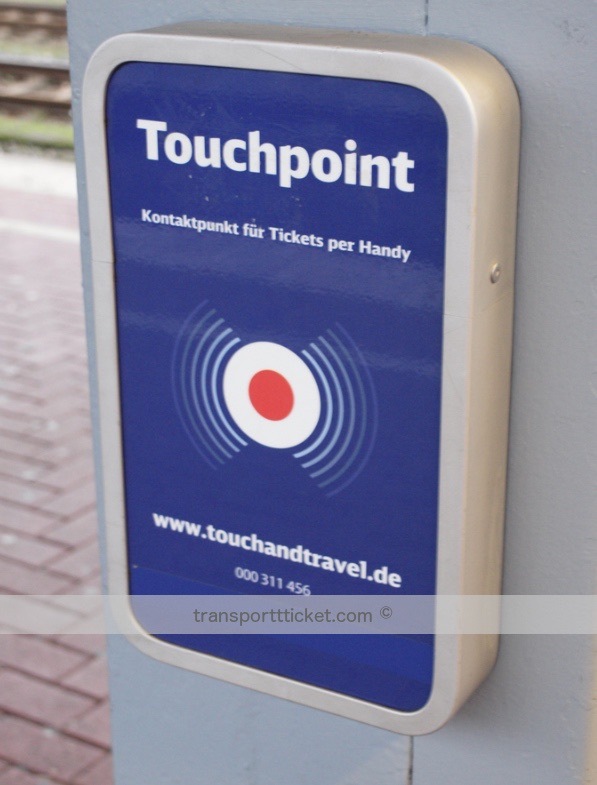 Touch and Travel was a way to pay German public transport using your smart phone. 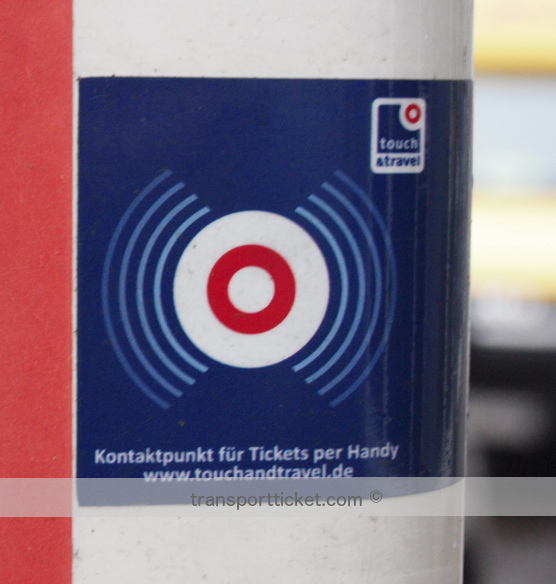 Touch and Travel started in 2008 in Berlin and Potsdam. Later it could be used throughout Germany. Touch and Travel ended on 30 November 2016. In December 2013 Touch and Travel had 50,000 registered users. 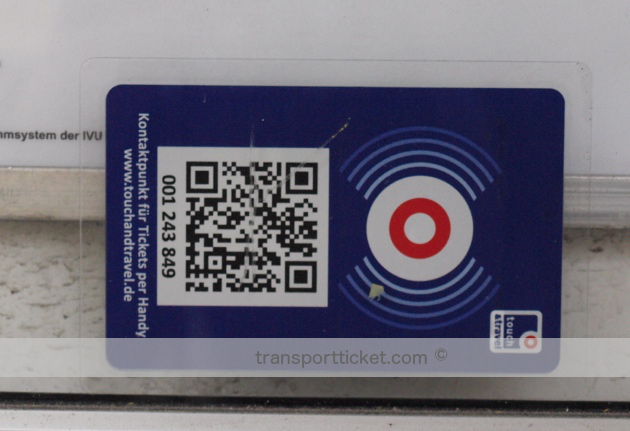 In most areas multiple single fares on one day were capped to the fare of a dayticket. 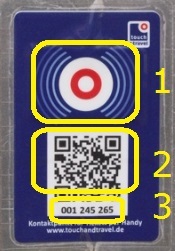 Before a traveller could use Touch and Travel, he downloaded an app on his smart phone and became a registered user. The traveller touched in with a smart phone at the beginning of the journey and touched out at the end of the journey. Payment of the journeys was through direct debit after a month or after reaching 100 euros worth of travel. 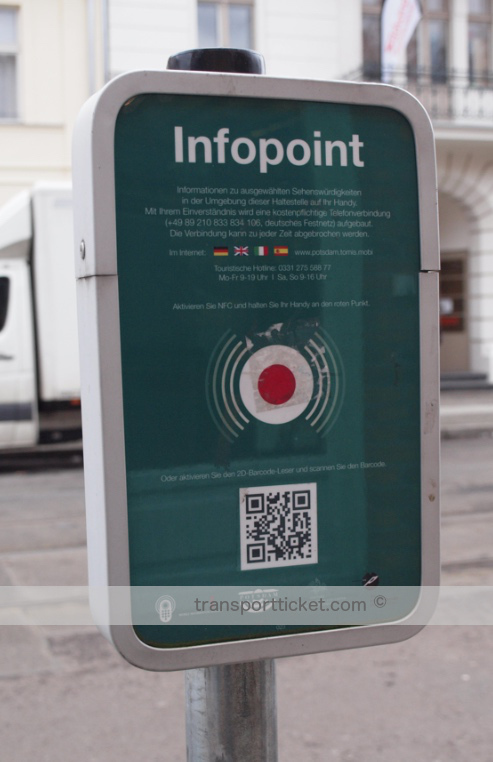 There were various forms of touchpoints. 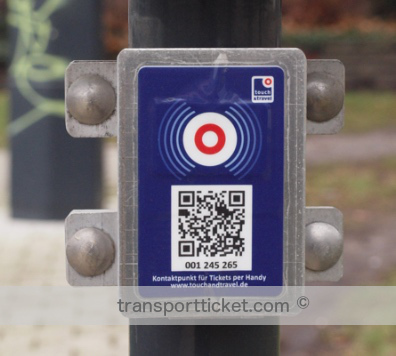 At bus stops a touchpoint was usually only a small sticker. international trains (ICE, IC/EC, CNL) to/from Denmark, The Netherlands, Belgium, Italy, Switzerland and Austria. The journey had to start or end in Germany. From November 2013 untill January 2014 Arriva, a subsidiary of German company Deutsche Bahn, tested Touch and Travel in the North of the Netherlands.